My new favourite obsession is moonstone rings! Ever since my recent trip to Camden market where I picked up this absolute bargain for £6 I’m obsessed. I want to cover my fingers in all sorts of boho-esque rings but rather than buy them all in one go, I want each one to be slightly quirky or a little different. I know, fussy, right? Not long after my moonstone ring purchase I came across Shop Dixi on twitter and boy was I worried for my bank account. Shop Dixi sell an assortment of jewellery which is mostly silver or silver plated. You do have to check individual item descriptions though as some items are just mixed metals. The rings are mostly 925 silver and I love that they are also stamped with ‘Dixi’ on each of their pieces. Since I’ve discovered the brand, I have spent countless evenings just browsing the website and finding new gems that I need in my life! So, to make things a little easier for me when it comes to pay day and to show you all just how amazing their jewellery is, I’ve put together a little wishlist. Narrowing pretty much most of the website down to just a few items was extremely difficult! Still, I love all the things I’ve chosen. 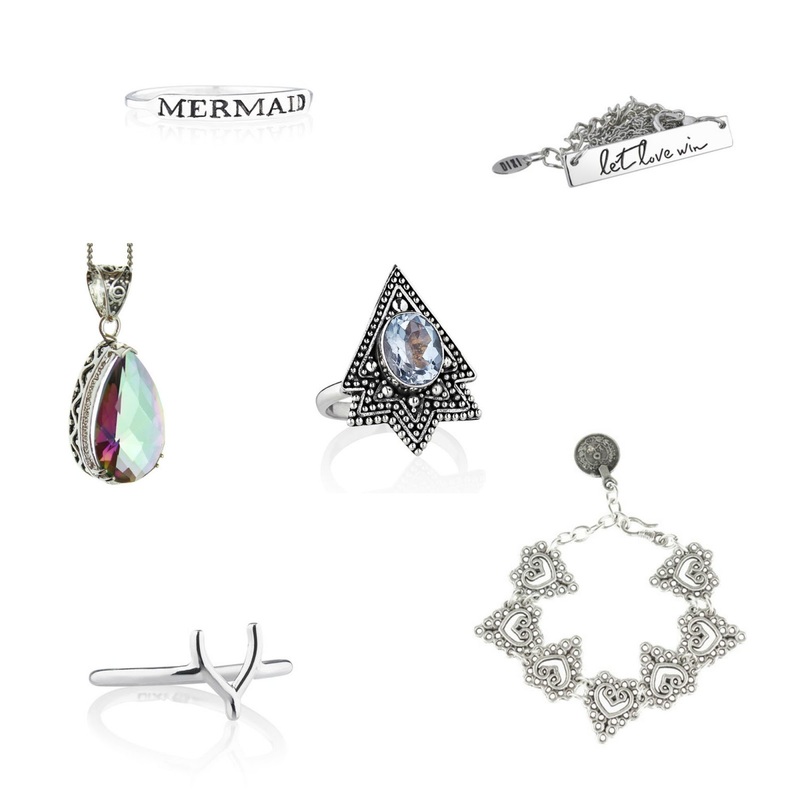 The three rings I really want are a mermaid ring, because…mermaid! I mean I’m kinda disappointed that I’m not a mermaid already so this ring makes it a little better. Next, a beautiful tribal looking moonstone ring and lastly a dainty wishbone ring. It looks so cute on that I have to have it! What are your thoughts on moonstone rings?